Weakness, numbness, and tingling can be a result of many different factors; however, these sensations are typically related to nerve aggravation (neuropathy) or issues in blood flow. Nerves are responsible for relaying information to the brain to inform it about what is going on with the body. Each nerve has an area that it is responsible for. This information can inform you when there is something causing damage (pain) or when there is something touching you. It also communicates to the brain where your body is positioned in space (so you know where you are compared to where you want to go) as well as relaying changes in body position important to maintaining balance. For example, with sciatica (nerve pain down the back of the leg), all of the individual nerve endings that sense pain in the back of the leg join together to form the sciatic nerve. 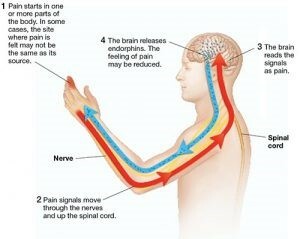 When they are stimulated individually at the site of their nerve endings, the pain can be pin-pointed since only those specific nerve endings are stimulated. 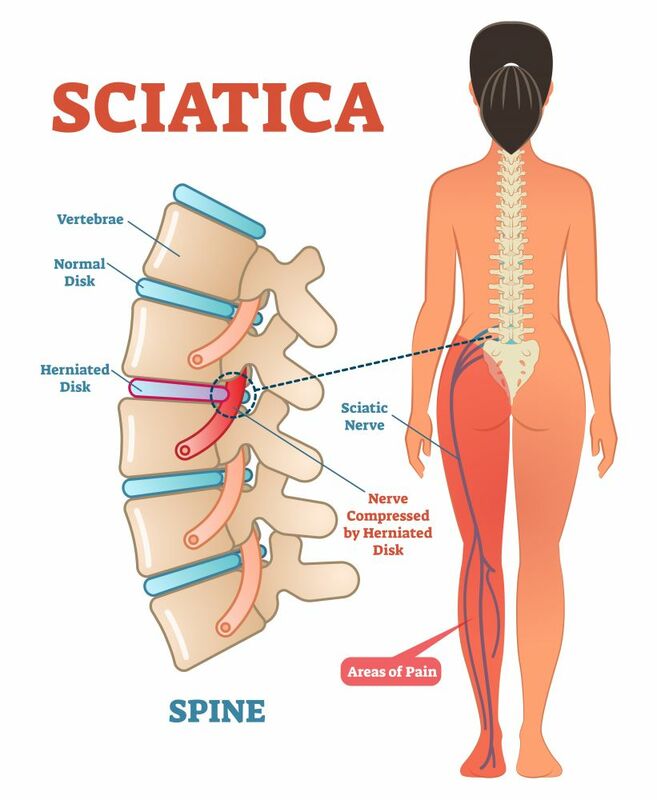 However, if multiple nerves are stimulated where they bundle together to form the much larger sciatic nerve higher up (as in a case of low back disc injury), your brain is tricked into thinking that the entire back of the leg is being damaged, causing sciatica. This is why in disc injuries in the low back, the pain radiates from the low back and down the back of the leg rather than being concentrated in one specific spot. If the aggravation lasts long enough, it may cause the nerve to become damaged and have reduced function. Therefore, instead of sending abnormal signals to the brain, it will struggle to send any signal to the brain at all. This aggravation of nerves, whether from inflammation or physical damage, is called neuropathy. Diabetes, spinal disc injuries, inflamed joints/tendons near nerves (e.g. carpel tunnel), stretched or compressed nerves due to postural abnormalities, and many other factors can cause neuropathies. Here at the Balanced Body Center, our doctors utilize comprehensive questionnaires, physical exams, x-rays, and advanced diagnostic testing (bloodwork, urine analysis, etc.) to determine the cause of the neuropathy. Understanding the cause will assist us in formulating a personalized treatment plan specific to your condition utilizing chiropractic adjustments, nutrition/supplements, and physical therapy modalities with the goal of reducing or eliminating your neuropathy.